The second thing rattling around my brain is a pretty simple thought. We are lucky ducks. 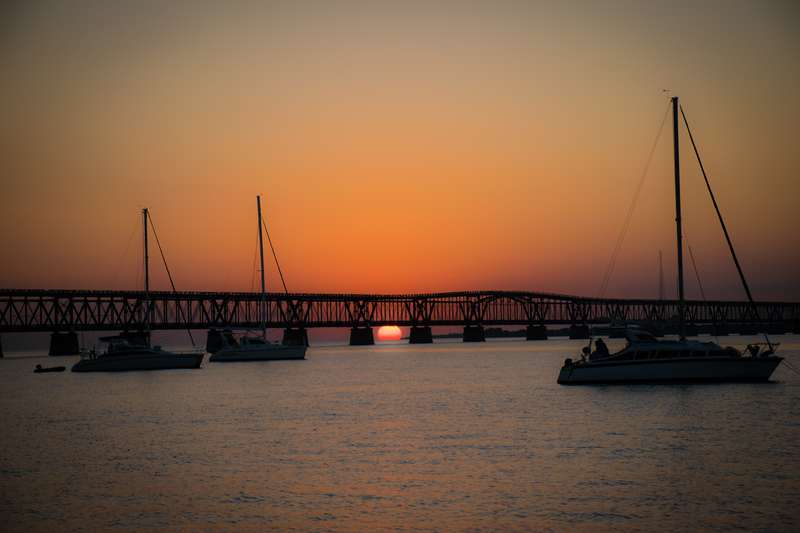 Almost everyday, I catch myself thinking that, especially these past few days hanging out in the gorgeous area that we adore known as the Florida Keys. 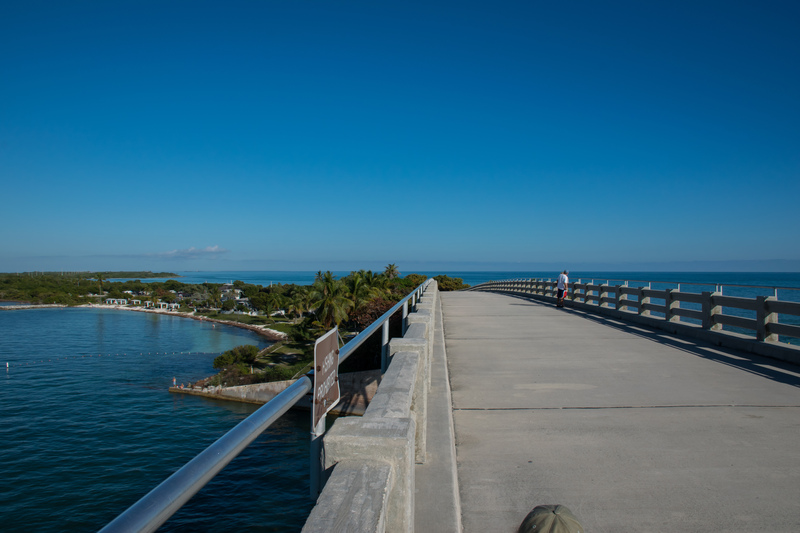 In particular, Bahia Honda State Park. While friends and family back home have been forced to take on the frigid air and constant snow, we have been relaxing in near 80° temps soaking up lots of sun and fun. 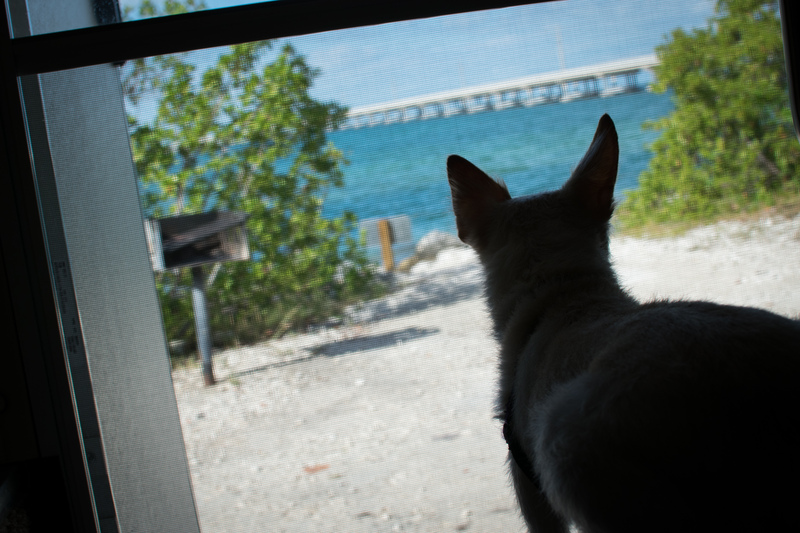 I don’t know how we ended up with such a great spot in Bahia Honda. It’s tough enough to actually get any spot at all, some folks try for years and don’t get in. Lucky. Ducks. Our site is on the water and happens to be quite roomy and pretty private. While we are right next to a boat channel and you aren’t technically supposed to swim in it, I have been able to take a dip in the water right at the edge. 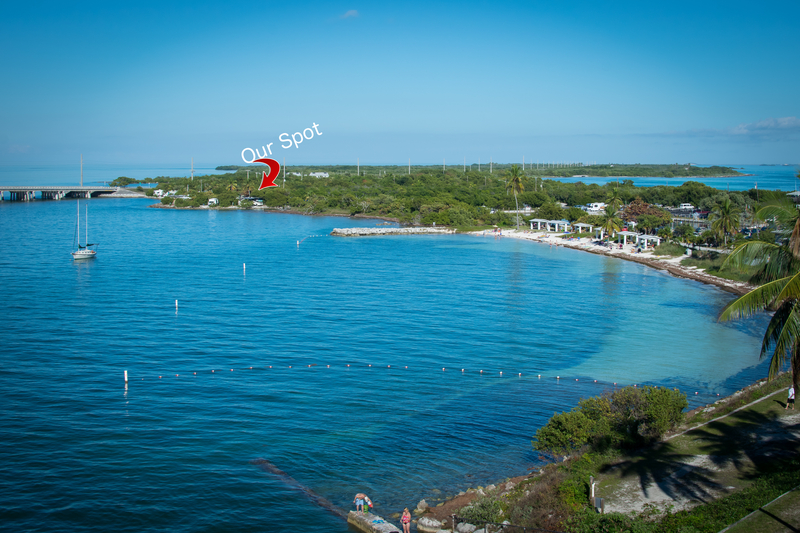 For swimming, we just head over to the closest beach (there are 3 in the park) which is a 10 minute walk away. 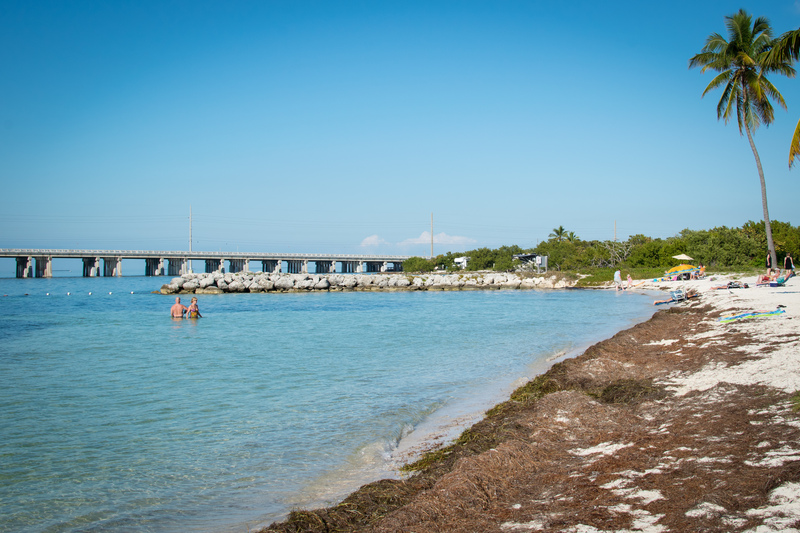 All of the beaches in Bahia Honda are gorgeous but I’d recommend the bayside beach, Calusa. It seems to have less seagrass washing up on it then the other two, there are pavilions for shade if the sun gets to be too much and it’s close to the campground. The beaches, like so many in the the FL Keys, are very shallow. So you could venture out pretty far from shore and still be only waist deep. 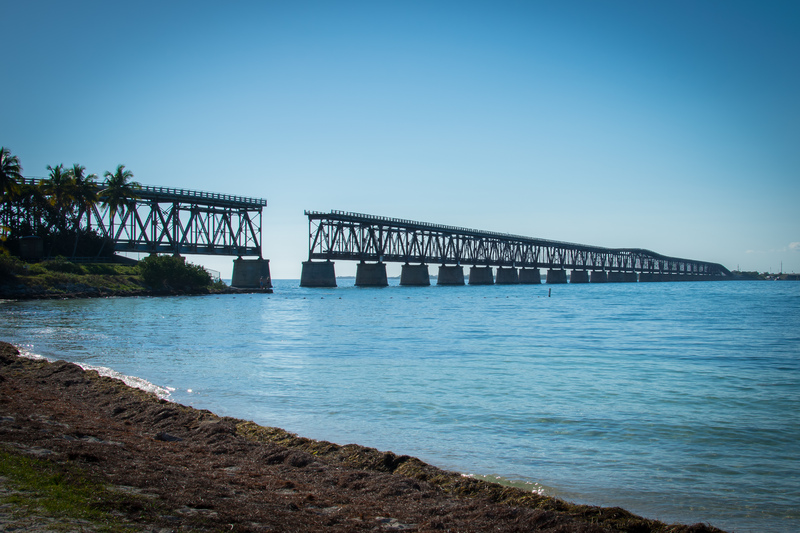 After relaxing in the sun and floating in the crystal clear water, why not head up onto the Old Bahia Honda Rail Bridge? There is an easy trail leading up to the bridge and once on it, you have a pretty decent birds-eye view the campground, beach and beyond. It is also amazing to venture onto at night for a fabulous view of the stars. The dogs are enjoying themselves immensely. Our spot is perfect for them to hang out off leash, exploring their surroundings in our site or just lounging and soaking up some sun. Every evening we are treated to one of nature’s fantastic light shows, viewable right from our doorstep. Could it get any better than this? We have about a week left in the park before we start our trek back home, sigh. We don’t plan on rushing back…there is still some steam left in this winter vacation! Can You Spot Our Rig? 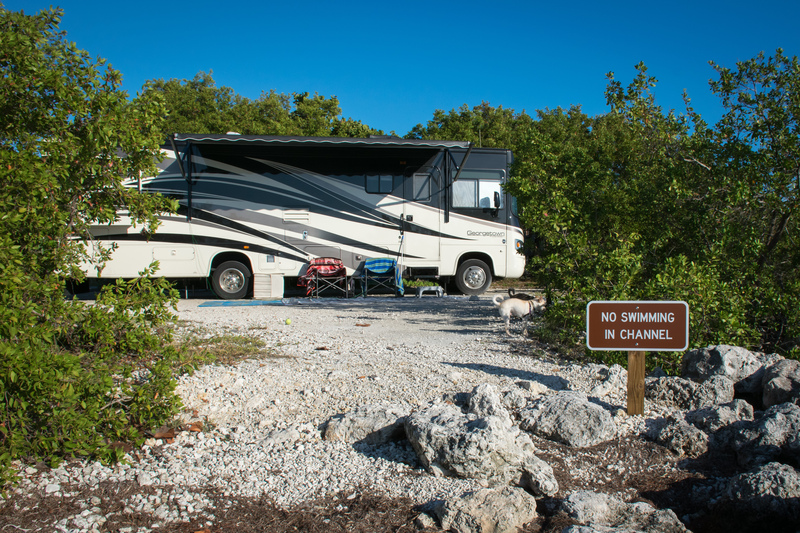 Tags: Bahia Honda, camping, dogs, Florida, florida keys, LGBT, motorhome, RVing, travel. Bookmark the permalink. It looks phenomenal, and heaven knows, you guys deserve it! We’re headed to the warmth as well tomorrow – and I don’t plan to complain one bit when it goes over 90. Thanks Linda! Hope your trip has been crazy good so far! Indeed! It was so amazing and I am already missing it tremendously! Absolutely! Wooo! It was so amazing and we can’t wait to (hopefully) get back there next year!